Thank you for your interest in downloading our logo. We encourage partners (e.g., schools, non-profit organizations, and other customers or referrers) to use our wordmark logo in conjunction with providing information about our services. Our logo can be used in various forms of media (e.g., websites, newsletters, etc.). We ask that you use the logo appropriate for the specific media type/background color where the logo will appear. To request logos in other file formats, or to request other brand imagery or materials, please contact our office. The Frontier Tutoring brand is a critical element in our communications with stakeholders. We strive to create a unified, consistent brand that represents the essence of our heritage, our values, and our people. 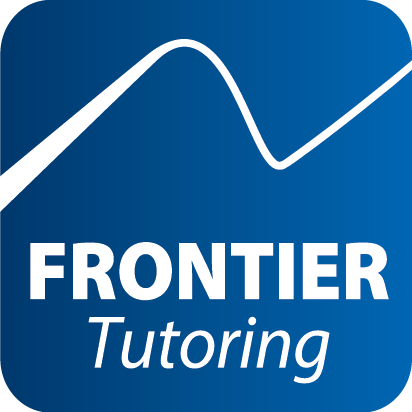 The Frontier Tutoring wordmark (logo) is the primary identifier of our company and our brand. Our wordmark's mountain-themed line pays homage to the awe-inspiring geography of the great state we call home and represents the high aspirations we hold for our students and our company. The secondary identity element consists of our mountain-themed line in a standalone setting, either in an enclosed rounded box (document footers) or bleeding off the media's edge (website headers and some physical signage). The secondary identity element reinforces the wordmark where appropriate. Our slogan, Spirit of Success, refers to our unwavering commitment to enabling Alaska's ambitions, working toward the advancement of all of our stakeholders, and achieving continuous improvement as individuals and as an organization.